On Sunday August 25th the Government of Belize received a visit from Mexico’s Foreign Minister Jose Antonio Meade Kuribena. His visit was short as it only lasted a few hours and it included a flight via Mexican state helicopter down the Rio Hondo for a visit to the border marker at Aguas Turbias, the intersection of Belize, Guatemala and Mexico. Kuribena then visited the new Santa Elena border crossing after which the Minister flew to Belize City. While in the country, the Mexican diplomat met his Belizean counterpart, Wilfred Elrington, at the Belize Biltmore Plaza Hotel where they had a lunch meeting. Because of the trade relationship between Belize and Mexico, as well as the 142-mile borderline between the two countries, the meeting is considered important. 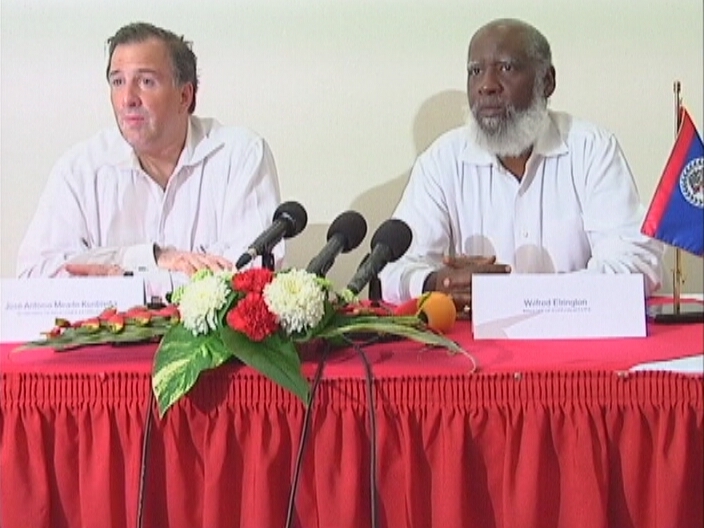 Following the meeting, the two Foreign Ministers spoke to the Belizean and international press. According to Minister Elrington, they are looking at improving trade ties with the northern neighbor. “We discussed ways so that we could put together a kind of agenda for a way forward. We want to come up with an agenda of matters of importance to us. Things that we will have to be doing are such as entering into legal arrangements, legal framework, to allow us to do trade with each other. To protect that trade we have to have a special agreement protecting the investment of our investors. Double taxation treaties will have to enter into mutual legal assistance treaties, extradition treaties - we want to develop more cooperation in terms of education, in terms of security and in terms of health." 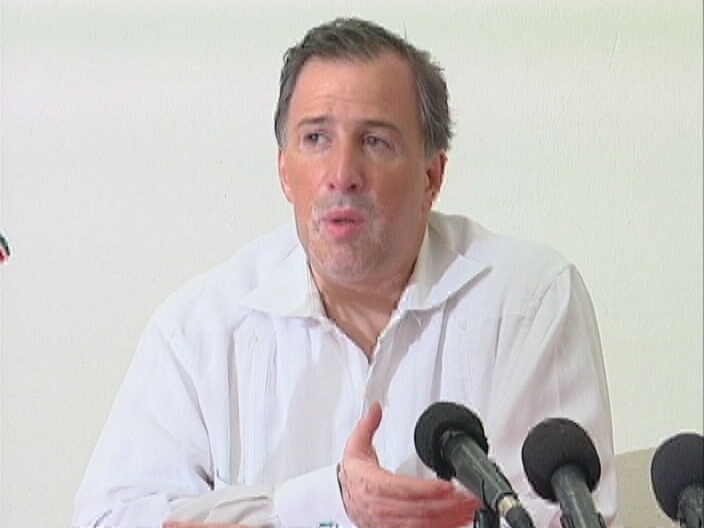 During the press conference, Kuribena was asked about the commitment made by the former Mexican President Felipe Calderon – to help refurbish the dilapidated Belize City Civic Center. Kuribena said that the Mexican Government remains committed to assist Belize but those arrangementsneed to be reviewed. "We will set up a meeting later on this week to identify where exactly Belize is at in terms of refurbishing of its Civic Center and in which way Mexico can support that effort. We are committed to doing it, we want to be part of the refurbishing of the Civic Center and we want - in order to be able to do so - to identify exactly where the Government of Belize is at and what the Government of Mexico can do to help,” explained Kuribena. As it currently stands, government has committed to build the new Civic Center with Petrocaribe funds following the change of Government in Mexico. Kuribena told reporters that there are discussions underway for reciprocal visits by Belizean Prime Minister Dean Barrow and Mexican President Enrique Pena Nieto, but no plans have been solidified as yet. According to the Mexican Foreign Relations Secretariat, Mexico is Belize's second largest trading partner, with bilateral trade soaring 98.2 percent from the $68.6 million registered in 2002 to $135.9 million in 2012. Belize imports electricity, iron rods, steel and cement from Mexico. Belizeans officially heading to the polls on November 4th!